If you are a connoisseur of the sea, Home Elegant is the place that will make your dream to live near the beach a reality, even if it is for a short while. The rooms are cozy, comfortable and well-furnished. The property also offers a parking facility for the people travelling on their own vehicle. 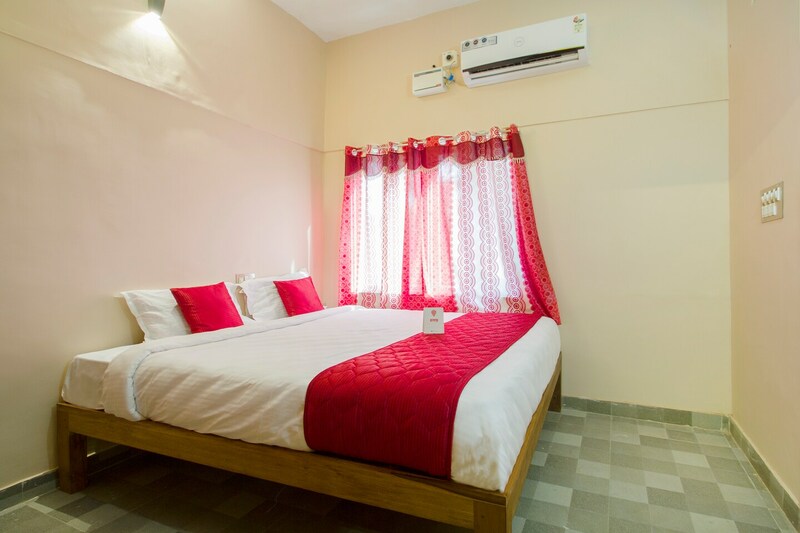 The beautiful 1BHK is located very close to the Auroville Beach and offers obviously the most stunning of the views of the sea that stretches endlessly. The breezy surroundings are perfect for you to unwind without a care in the world. A number of tourist destinations like Sunrise Point, Sri Aurobindo Ashram, and Sri Perumal Temple can be easily accessed by driving for just a few minutes.